These 4x6-inch high-power R-463N speakers are a great way to upgrade the sound in your vintage. They use a neodymium magnet structure for high power handling in a slim-mount design - mounting depth is just 1.77-inches (45mm). Santoprene® surrounds deliver the most natural sound possible with no distortion. Mylar tweeters produce crisp, clear highs. 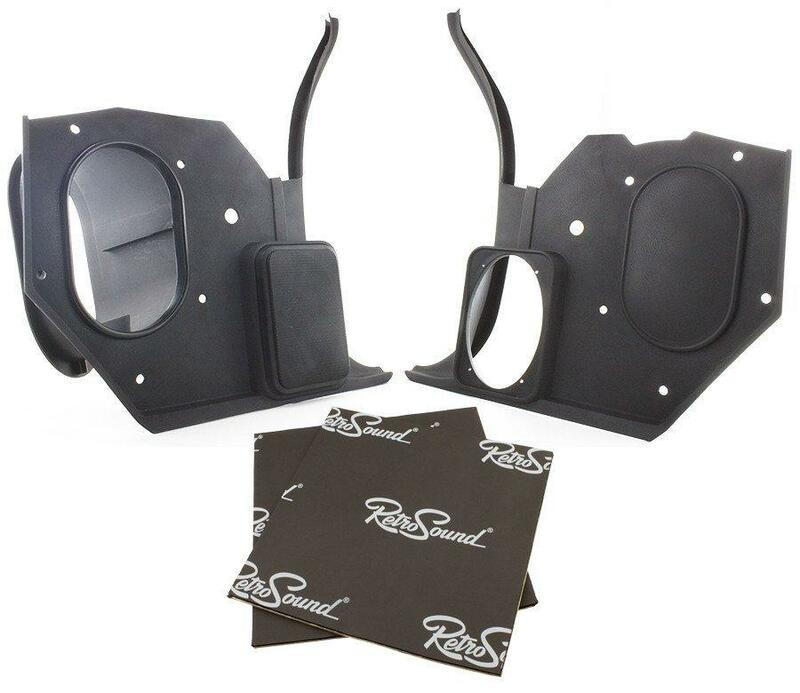 These RetroSound® direct-replacement kick panels mount easily in your classic 1970-81 Chevy Camaro, and will fit most 4x6-inch speakers. They are injection molded for a perfect fit in both factory air conditioning and non-AC Camaros. Includes driver's side and passenger side kick panels. You can use vinyl paint or plastic adhesive paint to match the panels to the color of your Camaro's interior.